Nurture your child’s creativity! 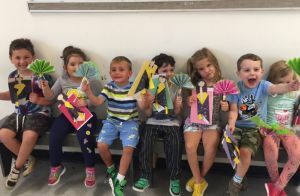 Combining a dynamic mix of art and movement, campers will happily experiment in a real studio with clay, paint and mixed media, followed by creative movement, acting and storytelling. Week-long registration is full. There is still availability per day. If you would like to register per day, please give us a call at 914-738-2525 x 111. There are only a few spots left! Drop in fee is $90/$81 Members per day. Bring your own lunch. Please no peanut products. Doors open at 8:50am each day. Please plan accordingly.